The Miami Real Estate Show is dedicated to bringing you the truth behind the success of the most prominent real estate celebrities including Ugo Colombo, Carlos Rosso, Nitin Motwani, Craig Studnicky, Jay Parker, Alicia Cervera Lamadrid, Alicia Cervera Sr, Jeff Morr, Eloy Carmenate, Esther Percal, Nancy Batchelor, Philip Spiegelman and Riley Smith among others. In this episode of THE MIAMI REAL ESTATE SHOW, Orlando Montiel interviews Alex Vidal, President of one of the fastest-growing real estate companies in South Florida, RelatedISG International Realty. With a coach mentality, Alex has grown from 50 to over 500 agents and has opened offices in Aventura, Edgewater, Fort Lauderdale, Coral Gables and Weston. One of his main priorities is the relationship with his agents, built on consistent support and training programs that develop the right mindset and motivation to create a lifelong real estate career. In his second time on the show, Alex shares the importance to learn the foundation of the business, the core values and how to hack your way into success on this episode of The Miami Real Estate Show with Orlando Montiel. President of one of the fastest-growing companies in South Florida. Explosive Growth, from 2 Offices and 50 Agents to 7 Offices and over 500 realtors since Jun 2014. Close to ½ Billion Dollars in Sales Volume. How to Create a Lifelong Real Estate Career. The Proactive & Reactive Approach. How to Build a Right Mindset. When you learn the ability to listen and then repeat what that person said, creates empathy, which is key to connect with your client. A lot of agents can sell real estate but, can they turn it into a lifelong career? 2018 will be a great year for The Miami Real Estate Show. 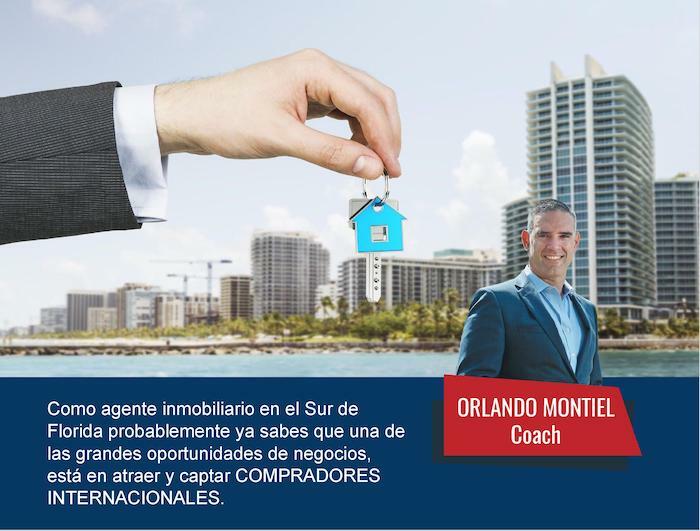 We look forward to bringing you even bigger names in real estate with the re-vamped web series hosted by The Montiel Organization Founder Orlando Montiel. Perland Title & Escrow Services Corp.